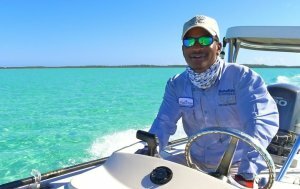 Hi, I’m “Docky”, an independent, certified Bahamas Fly Fishing Guide, a native of north Long Island, with twenty years of professional guiding experience of both Fly and Spin Casting for ‘flats fish’, including Bonefish, Tarpon and Permit. I am equally knowledgeable of Reef and Deep Sea Fishing, based on ten years of bigger/open-ocean Game Fishing boat operating. However, my main passion is that for BONEFISHING! 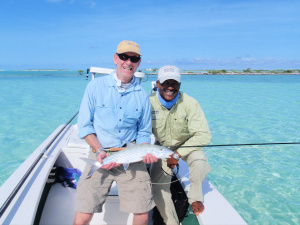 I have been quoted in many professional fishing magazines of American and international origins, as well as in “The Bahamas Fly-Fishing Guide”, as “one of the best Bonefish Guides in theBahamas”! I am dedicated to providing the best possible fishing experience, and am committed to ensuring total client satisfaction. 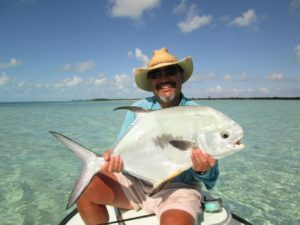 I am a skilled angler, know the flats, the tides, have deep understanding of the pursued prey and its behavior … ensuring a very high level of success potential. I gently and knowledgeably share my experience levels and my own fishing preferences with my clients. I do not act out any “star guide” attitudes at all, I serve my customers. In all client-fishing and other circumstances I maintain a respectful relationship, and always do my best to let my fishing visitors share in my angler’s appreciation of the pristine beauty of Bahamian fishing grounds. I offer on-the-water-instructions during a fishing day’s guiding as well as organized pre-trip evening fly fishing lessons on demand! We fish out of very well maintained 16’ Maverick Mirage and 17′ Hells Bay … flat boats boasting the highest of standards desired for fly fishing. 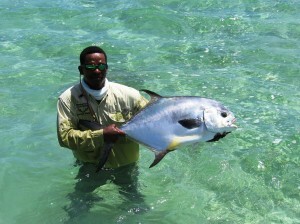 Bahamas Flats Fishing is known around the world for occupying a top spot of fly fishing destinations. I always aims at keeping my boats and equipment to a correspondingly high standard, to enhance the overall fishing enjoyment. I welcome anglers of any skill level … whether expert casters or newcomers …whether female or male, whether adult or in teens or less. 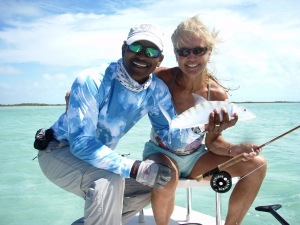 When it comes to Bahamas Bonefishing, I will make a day out on the flats a fabulous experience, truly remembered for life! I love Bonefishing, I love the Long Island flats, and I would love to take you out fishing! 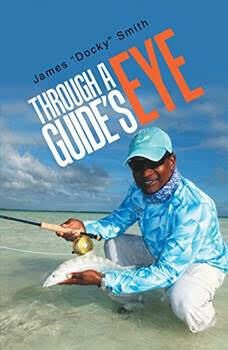 I am very excited to announce the publication of my book, Through a Guide’s Eye! 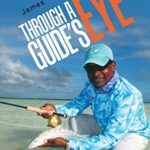 LONG ISLAND, Bahamas – James Docky Smith shares his knowledge, experience and enthusiasm of bonefishing, a type of sport fishing popular in the Bahamas, in “Through a Guide’s Eye” (published by Xlibris). The book presents fishing techniques, tips for “do’s and don’ts,” family history stories and actual fishing events with well-known personalities. It is Smith’s hope that the reader will enjoy comparing his own skills and experiences with those described within. 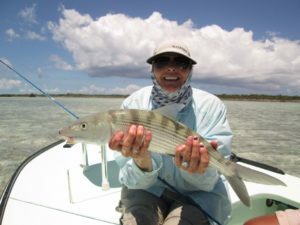 Topics covered range from all bonefish things material to actual fishing events and to the fishing industry’s abstracts (e.g., the environment’s fishing regulation). Additional amusement may be found in some of the author’s stories about earlier island life—his own and that of two family generations back in time. “All entertainment and sports enjoy a very high rate of media coverage, including fishing. But – there are few existing bonefishing sports books, coming from the actual area-of-action,” says Smith on the relevance of his book in today’s society. With his fishing knowledge mixed with quaint island history, Smith hopes that readers will enjoy getting to know the sport of bonefishing.